Stirring constantly with a rubber spatula, heat sugar in a medium saucepan over medium heat, until clumps form and melt into a thick, amber-colored liquid. When sugar has completely melted, add the butter and allow to melt. Slowly, drizzle in 1/2 cup of heavy cream while stirring. Allow the mixture to boil for 1 minute, being careful to not burn the caramel. Remove from heat and stir in 1 teaspoon of salt. 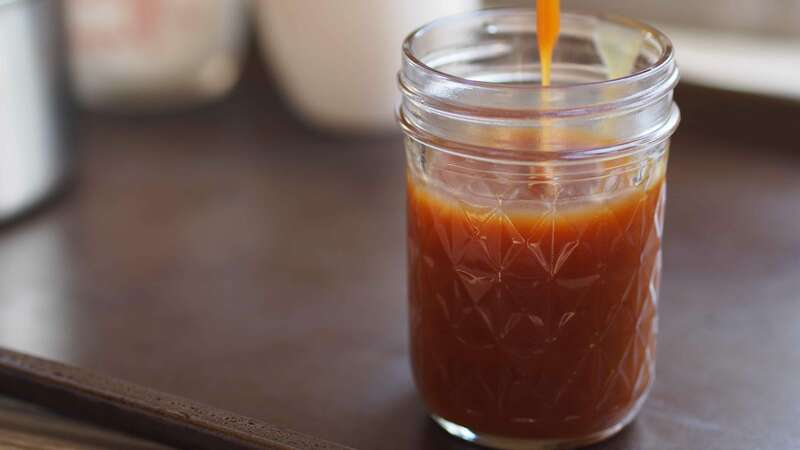 Allow caramel to cool before using.